My "Bucket List" of things to do in Italy! 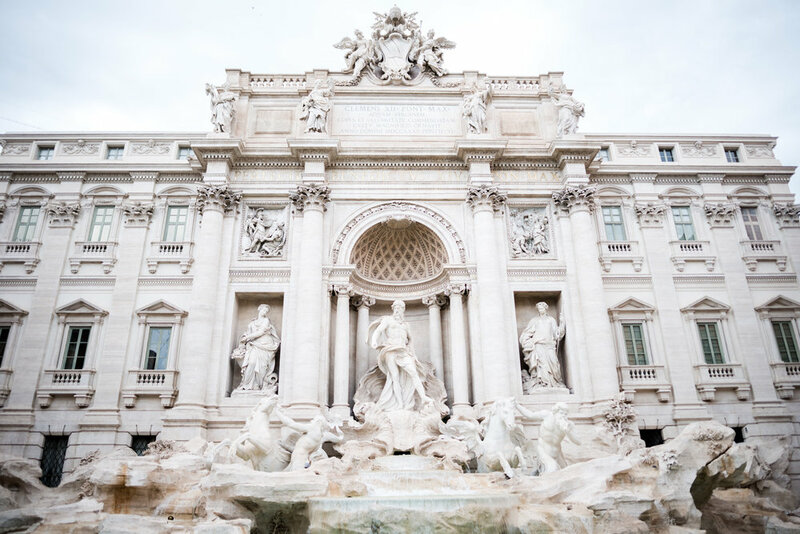 Throw a coin in Trevi Fountain for luck/wish to return. Visit Vatican City -- There is so much to do in Vatican City. The Pope offers a blessing one day a week, St. Peter's Basilica, the Sistine Chapel, and museums are some of the offerings available at Vatican City. Tour the Colosseum -- There are tours that explain all about the bloody history of the Colosseum. Walk around Campo de Fiori -- Campo de Fiori has an amazing farmer's market. The food and flowers are a sight to behold. Head to the Spanish Steps. Watch people in Piazza Navona. See the Cinque Terre -- Cinque Terre is composed of five villages: Monterosso al Mare, Vernazza, Corniglia, Manarola, and Riomaggiore. They are a UNESCO World Heritage Site. Cinque Terre is connected by trains and boats, and inaccessible by car. Take a Gondola ride in Venice -- Snuggle up with your significant other and enjoy a romantic evening ride to see Venice all lit up. Visit St. Mark's and watch people in the square. Head to the Bridge of Sighs -- Rialto Bridge is a popular tourist spot. Take a day trip to Murano/Burano -- Murano is known for its glass; and Burano is known for its lace. Drive along the Tuscan countryside to view the wildflowers, including poppies. Visit the David -- The David is a marble masterpiece created by Michelangelo. Tour Uffizi -- Uffizi holds priceless collections from the Italian Renaissance. Take a walk to Ponte Vecchio. Get a picture in Pisa and enjoy the sights -- The Tower was spared from a WWII artillery strike because a US sergeant was impressed by the beauty. There is also a cathedral by the Tower. Visit vineyards in the Tuscan region. Walk around San Gimignano -- San Gimignano is known for its Medieval towers. Visit Civita di Bagnoregio -- Erosion has altered this town over the centuries; and Civita di Bagnoregio owes the unchanged nature of the town to its isolation. The population surges to 100 during the summer, from around 10 during winter time. Take in the views from Mole Antonelliana (in Turin). Enjoy Lake Como -- The Huffington Post has called it the most beautiful lake in the world. Visit the Duomo (in Milan). View, or ski, the Italian Alps. Head to Juliet's house in Verona. Take in the landscape in Umbria. Walk around Positano -- Positano is a beautiful area on the Amalfi Coast, and is close to many beaches on the Amalfi Coast. Visit Mount Etna in Sicily -- Sicily also has several beaches, popular Palermo, and Valley of the Temples. Head to see Pompeii ruins -- Pompeii was covered in ash when Mount Vesuvius erupted. It is a UNESCO World Heritage Site.